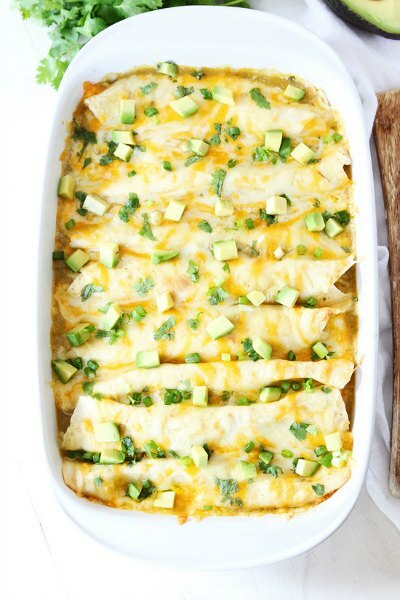 Enchiladas are such an easy and simple meal on those busy nights. 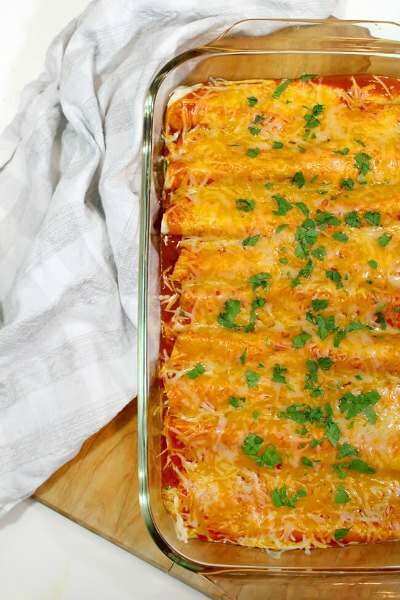 Whether you’re looking for an easy freezer friendly meal or a simple meal for dinner tonight, you can can’t go wrong with enchiladas!These easy enchilada recipes make great freezer meals and Mexican theme dinner nights at home. Serve it with this Easy Spanish Rice Recipe and you have a meal in very little time! 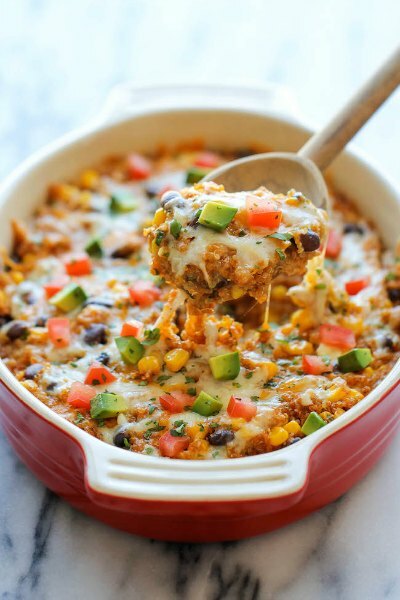 You might also like 10 Ways to Use Leftover Taco Meat! So many great ideas for easy meals! 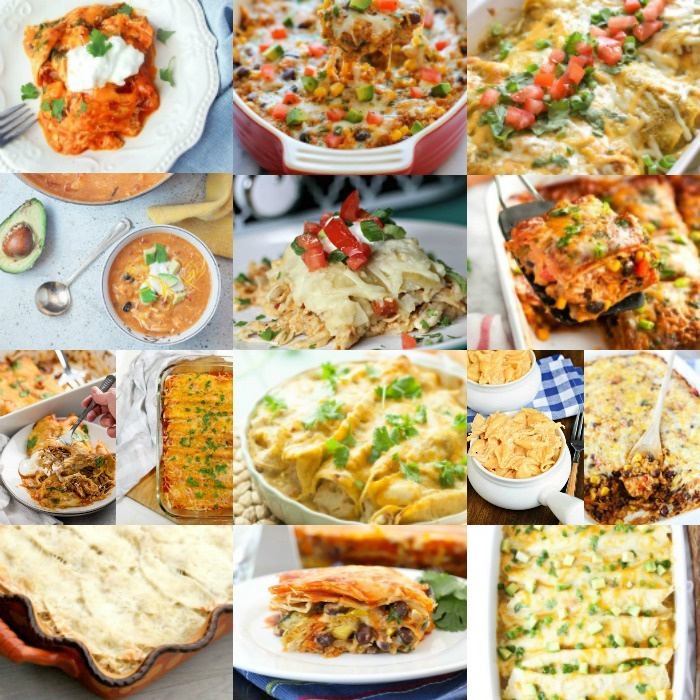 Here are 18 of the Best Chicken Enchilada Recipes out there. If you have extra time, many of these are freezer friendly. You can make two and have one in the freezer for those crazy busy nights. This is such a time saver and a relief being able to just pull something out of the freezer. These meals are delicious and easy! I buy disposable 9×13 pans which make clean up a breeze and they are so easy to freeze. 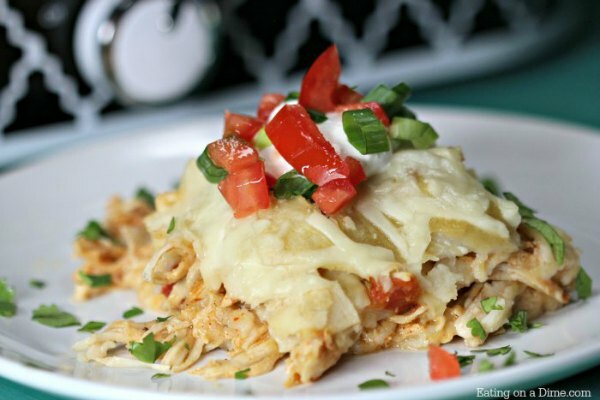 This classic enchilada recipe is full of chicken and yummy flavors. The sour cream adds a bit of creaminess you will love. The salsa verde adds a tang and all the cheese topping is melted to perfection. 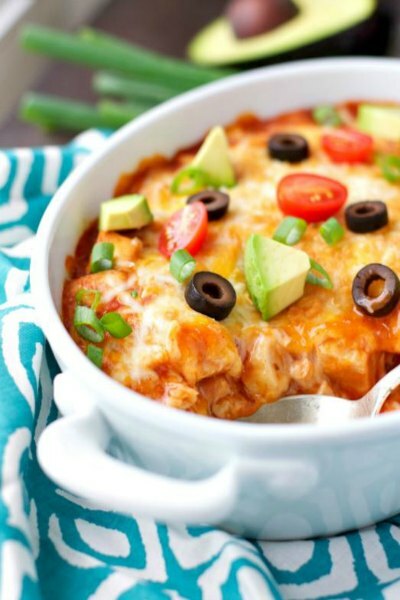 This enchilada casserole is so easy in the crock pot! It’s creamy and delicious and a comfort food at its best! No one will guess these tasty enchiladas are gluten free! 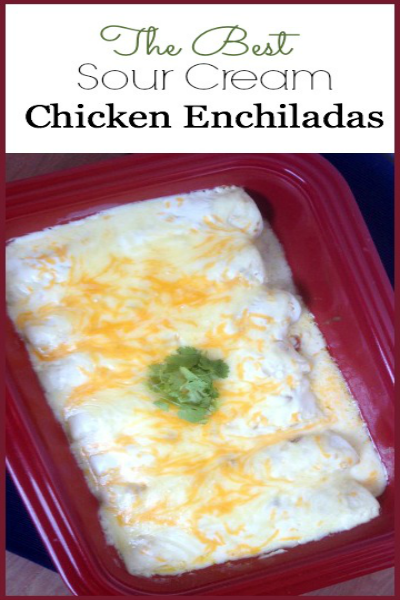 Give them a try as an alternative to traditional enchiladas. The secret is all the sour cream. 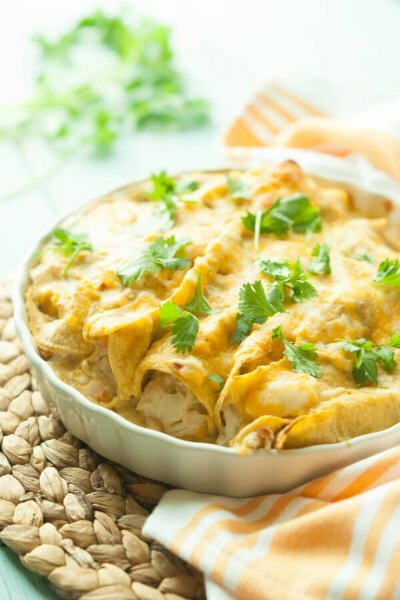 It makes these chicken enchiladas extra creamy! This recipe is perfect for those that can’t eat a lot of bread. You won’t find any tortillas in this recipe! The chicken is packed with so much flavor you won’t know the bread is missing. 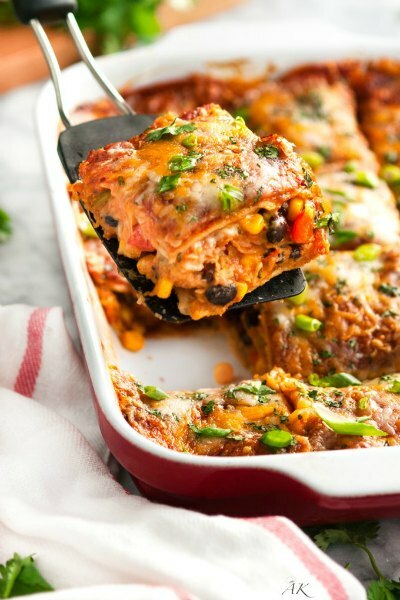 Try this low carb version of enchilada casserole. The sauce and cheese come together for a wonderful Mexican meal. Take mac and cheese to a new level with enchilada flavor. 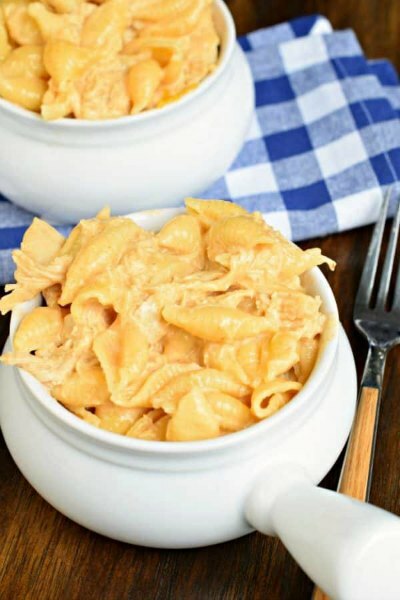 This one pot meal is sure to please and it’s so cheesy! 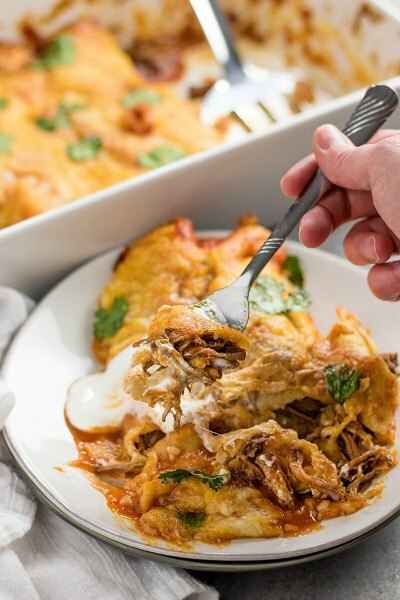 These are the best Mexican enchilada recipes! Bulk up your recipe with black beans and quinoa! So filling and good. There is also corn and tomatoes and all sorts of yummy ingredients topped with cheese. 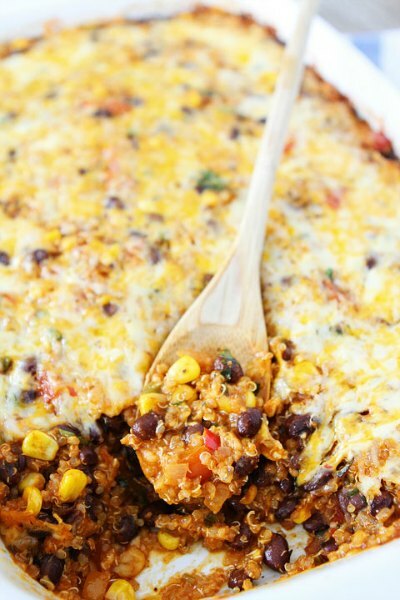 Use Quinoa as the filling in this enchilada casserole. It’s a healthy alternative, filling and so good. Everyone loves soup so why not turn enchiladas into it? 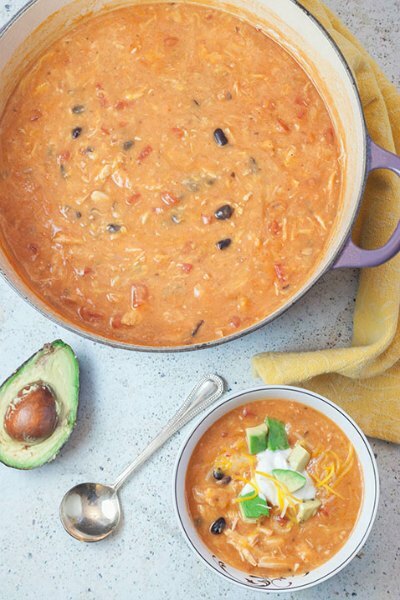 This creamy pot of chicken enchilada soup is perfect for a cold winter night. Top with extra sour cream if you like. Change things up with beef! Add lots of shredded beef to these enchiladas for a dinner everyone will love. Only 4 ingredients and dinner is served! 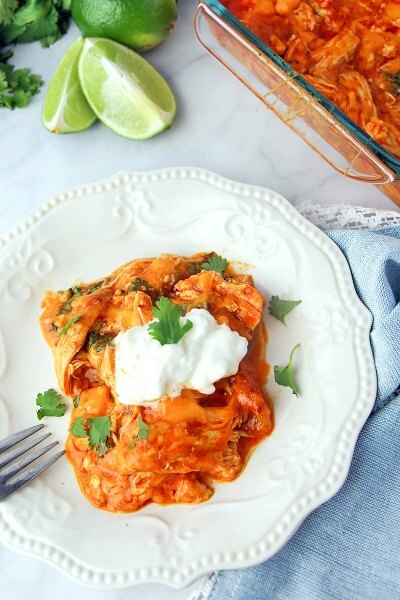 This chicken enchilada casserole is so simple and delicious you will not believe it! Layers of roasted veggies provide a nice alternative for those meatless Monday meals. The vegetables pack so much flavor from being roasted and add the cheese for a tasty dinner. 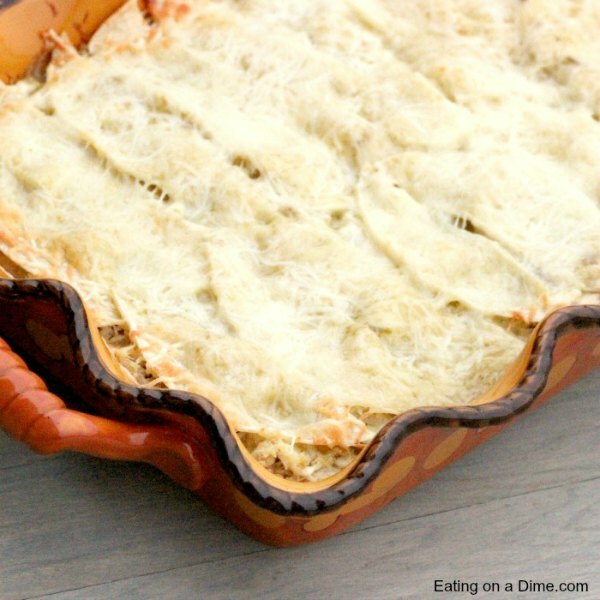 Only 4 ingredients for this easy enchilada casserole! Try this on busy nights that you need something fast. 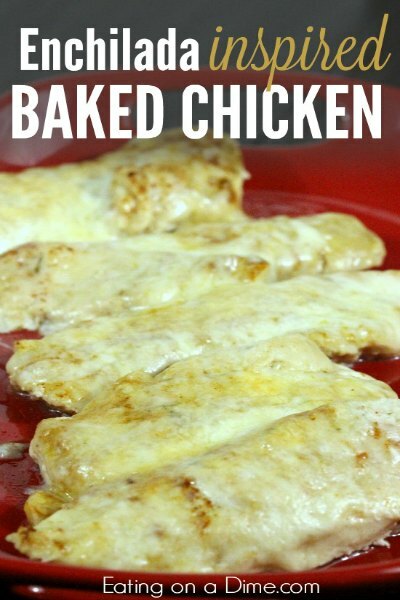 It’s packed with chicken and cheese for a filling and delicious meal. 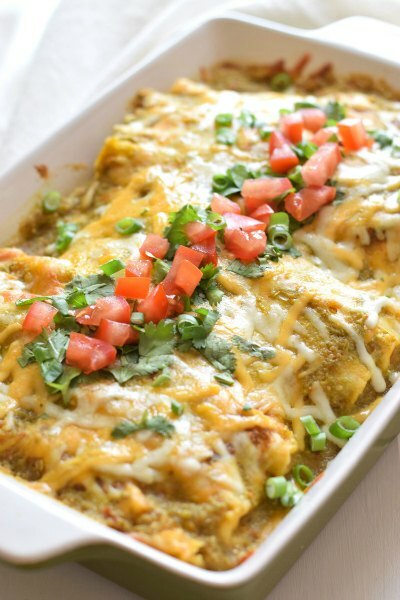 Spinach and green chilies pack a punch in these enchiladas. This is a great alternative for those that don’t eat meat. It’s topped with lots of yummy cheese too! 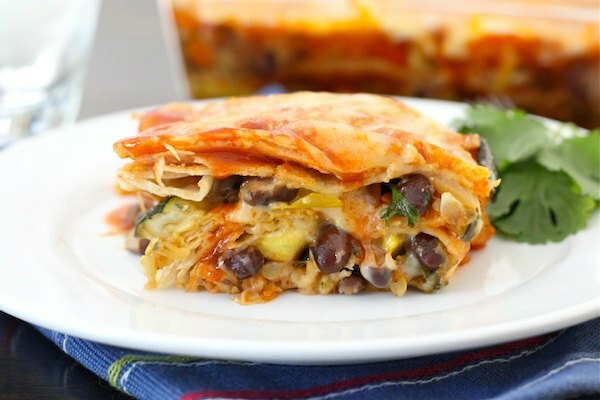 Black beans and veggies covered in layers of cheese and enchilada sauce make this one amazing meal. It’s so hearty and tasty, your family might not even know the meat is missing. 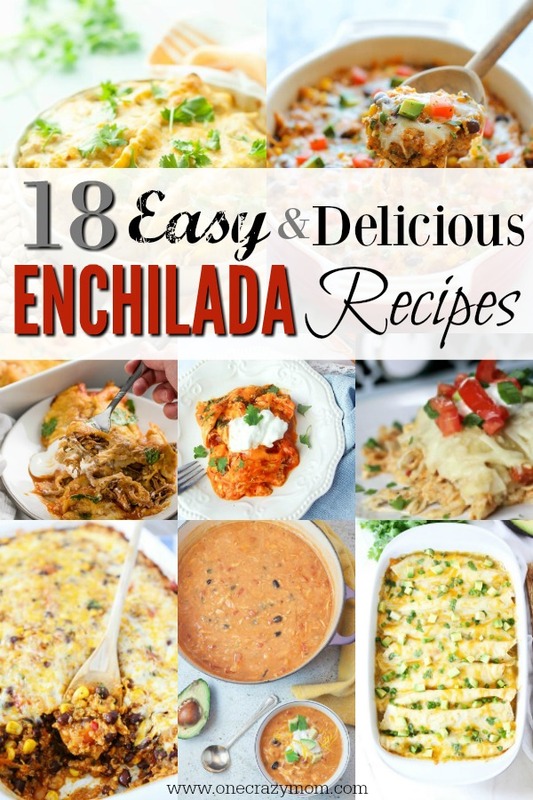 With so many Mexican Enchilada Recipes to choose from, dinner will be no problem! Some of these can be made in the slow cooker. If you need a crock pot, here are some nice ones on sale. The programmable crock pot is so handy! I can literally set it and forget it! Perfect for those days I will be gone all day. Enjoy a dinner with your family without all the stress! Mexican Monday is a favorite around here. You might also like these Easy Instant Pot Side Dish Recipes! So many yummy options! Amazon Deals of the Day: iPad Pros, Anker Products & Cuisinart Cookware Set! I am scheduled to teach my granddaughter how to cook three dinners over the weekend. I hope she picks a few dinners from your crazymom.com receipts.